The Angling Trust is holding a one-day conference to give anglers the chance to have their say on the future of their sport. The Future Angling Conference will collect the views of anglers, clubs, fisheries, angling trade and tackle shops and feed them directly into the new National Angling Strategy, commissioned by the Environment Agency to provide a framework for the development of angling over the next five years. The Conference is being held at West Midlands Golf Club & The Lake at Barston, Solihull, on Saturday, 17 November, and immediately follows the Angling Trust & Fish Legal Members’ AGMs. It is free to attend and open to all anglers. The day will include sessions discussing what the new strategy should achieve and who should be responsible for delivering it as well as seeking views on increasing participation and the role of the Environment Agency, Angling Trust, angling trade, clubs, fisheries and coaches. There will also be two structured workshops looking at More Fishing –getting more people to go fishing and enjoy the benefits angling has to offer – and More Fish – improving fish stocks and making sure clubs and fisheries can become more sustainable. 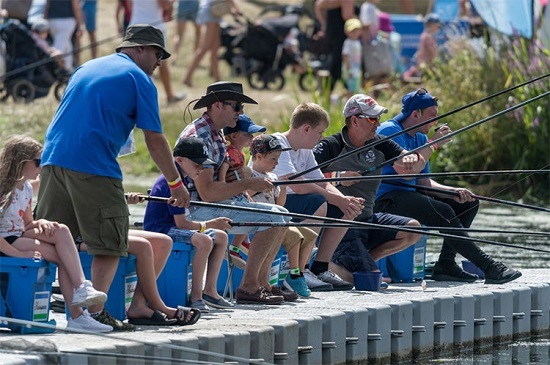 How more people can take part so more people benefit from angling. How angling can contribute to society in relation to health, sport and the environment. The governance and funding of angling. The development of both freshwater and sea angling. How angling can help fisheries become more sustainable.